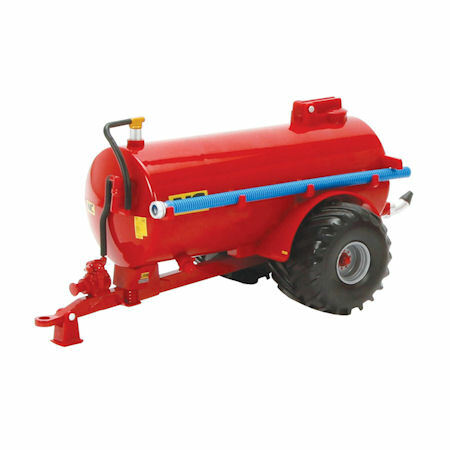 We provide a range of farm implements ranging from toy spreaders, sprayers, fertilizers and toy tankers. Toy farm spreaders are used to fertislize using manure with pest control cemicals also available to spray on the crops. 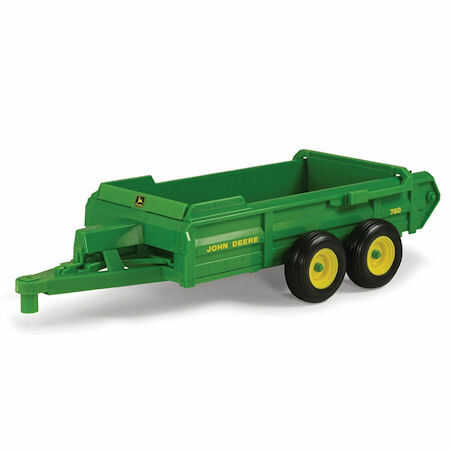 Spreaders, sprayers, tankers and other toy farm implements can be attached to a tractor using the hitch or mounted to the back if the implement isn't fitted with wheels. Sprung loaded front stand and a rear mechanism for the boom arms. The Britains replica NC fieldside tanker spreads the slurry on the fields. This bright red tanker ferries its load from the farm to the field tanker. Makes spreading on the fields an easy task, and can be attached to all big farm tractors. Feeding trailer used to mix the correct feed for animals and cattles in the farm. Feature extendable spraying arms and can be attached to the hitch of 1:32 tractors by Siku. 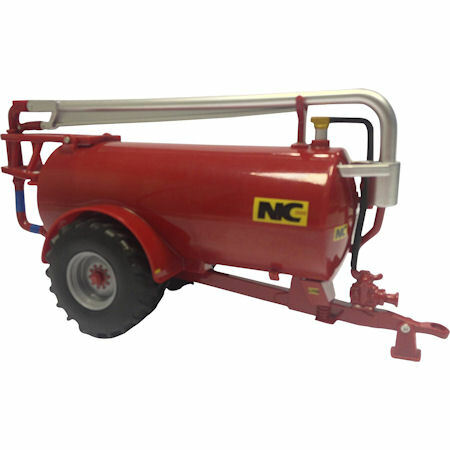 This Vacuum Tanker is used to pump slurry from animal units on the farm, mainly from cows and sheep. 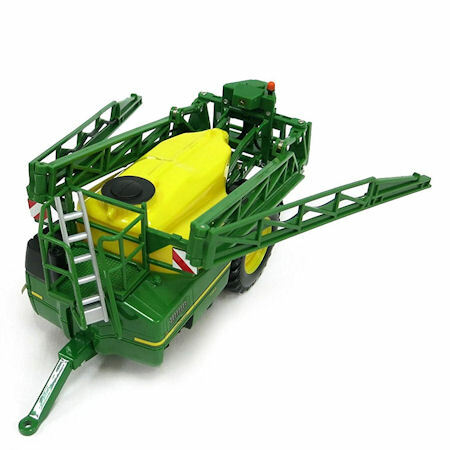 Crop sprayer can be mounted to toy tractors by Bruder in scale 1:16. The arms fold out and when not in use can be actually filled with water.